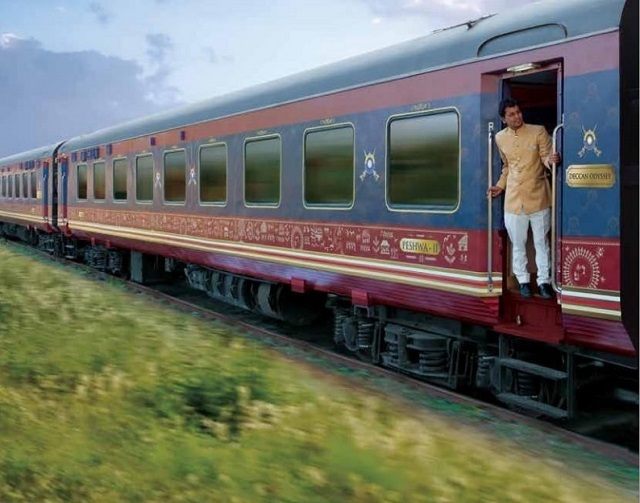 Indian Railways is planning to make wine tours in Maharashtra a part of the itinerary of Deccan Odyssey, one of the popular luxury trains of India. Talks for making it an important part of the tourism of Maharashtra are also going on. It has been seen that wine tourism has attracted international visitors in decent numbers. Therefore, officials of a chief wine body of Maharashtra feel that it could further be a part of the wonderful journeys of this luxury rail of India. 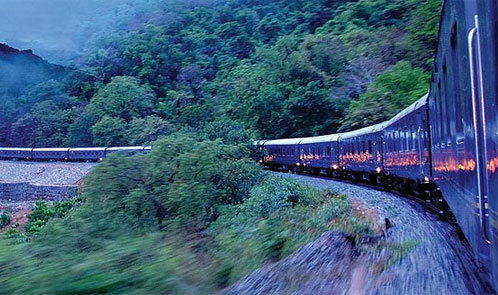 Made on the lines of the luxury Palace on Wheels, Deccan Odyssey takes its guests across the landscape of Konkan region. Foreign guests who wish to get a sneak-peek into rich Indian culture go on-board this train in good numbers. Manoj Jagtap, coordinator, All India Wine Producers Association (AIWPA), and a wine tour operator in Nashik, feels that this addition is going to make Indian wines popular across the world, bringing a boost in wine tourism. India is not seen as a popular destinations for wine tours, however, wineries in Nashik are largely visited during weekends between December and March. Around half of the wineries of India are placed close to Nashik but some of them are also found in Baramati and Sangli. Nashik enjoys a positional advantage as it is close to Mumbai and Pune where a larger lot of population is young and educated. An industry observer feels that the youth is always willing to explore and wine tours are slowly growing. One of the officials of the wine tours of Nashik, Jagtap has been asked to submit the proposals to the management of Deccan Odyssey in relation to the possibility of running special journeys for wine tours to Nashik, making them a part of the journey of Deccan Odyssey. Wines of India are being cherished all across the globe. He further informed that a group of 40 members Nicolas Feuillatte Champagne, the largest French wine cooperative had visited Nashik recently for a special wine tour. The members really liked the sparkling wines at Grover Zampa, Sula Wines, and Moet Hennesey Chandon. The officials are of the view that if wine tours are added in the itinerary of the Deccan Odyssey, they will be appreciated world over. He added that the interest of visitors in wine tours can be easily noticed from the fact that bookings are being done 9 months in advance. One such example is a group from Australia who will be visiting Nashik in the month of September. It is being expected there is going to be a growth in wine tourists by 15 to 20 percent in comparison to last year. He informed that in the last season 1.4 crore litres of wines which is the highest production in the sector till date. In the current year, the area under plantation of grape varieties of wine has also gone up from 3,000 acres last year to 3,500 acres. India has 95 wineries with 77 of them being in Maharashtra. Out of these 77, 39 are in Nashik. As far as grape-wine production in India is concerned, the contribution of Maharashtra is around 90 percent with Nashik contributing to 80 percent in the country’s total production.